I am back after another month of craziness. I have moved again, to a little seaside town called Deal in Kent. So long pub life, and so long Dover! We had a lot of difficulty with our boss at the pub so good riddance and on to better and bigger things. I am working 2 part time jobs which is nice and we are finally settling in to our new home. So now that those details are out of the way, I can get back to blogging and showing off the piles of new things I have. 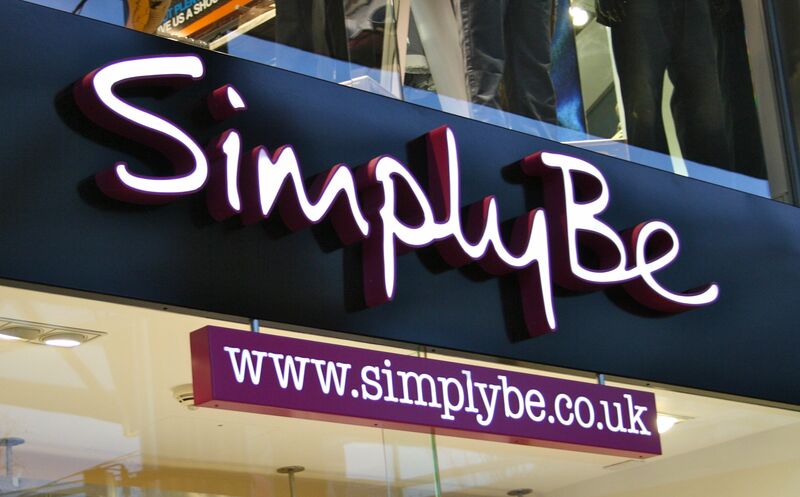 Last week, Simply Be got in touch with me to see if I would be interested in going to Liverpool to check out one of their stores, and experience the Simply Be shopping experience. I, having ordered from them before and struggled with sizing was very keen, as I wanted to try things on and get a better feel for what size I wear etc. So, despite the major journey, I went to Liverpool for the day! I have never been to Liverpool so it was pretty exciting and I wish I could have stayed longer. Once in Liverpool, I went straight to the Simply Be store, to meet Meghan who is an expert on dressing clients and showing them what looks good. Meghan, along with the other amazing crew measured my feet and calves (to fit wide calf boots), and picked out lots of outfits that fit my style and one or two that are completely out of character for me but really surprised me! It makes such a difference when someone else picks pieces out for you and I found myself wearing a dress that I never would have picked out on my own. I also found out how much my body has changed over the last little while and that my size has changed quite a bit too. 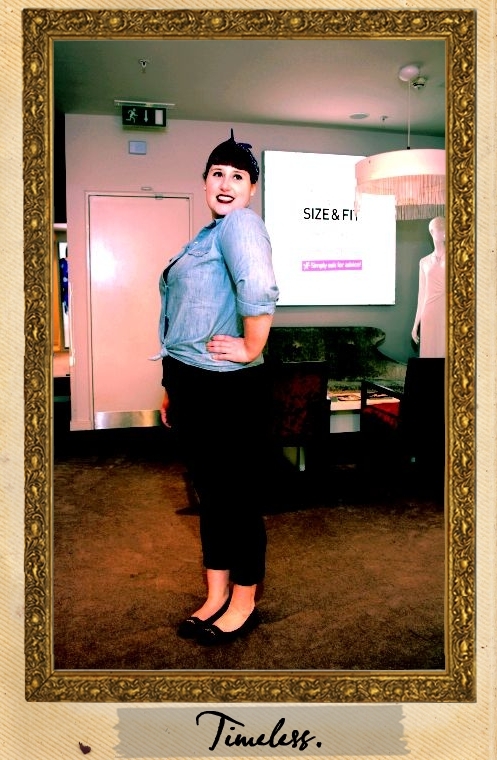 Let me show you some photos from the day, taken by the amazing Magic Mirror in the changing room area. You stand in front of it and it counts down and takes 4 photos of you in your new outfit. You can pose, and capture every bit of the outfit, even the back and they jazz them up with frames or colour changes as you will see below! I want one in my bedroom now. You can print them, upload them to facebook, twitter or email them to yourself, it's cool stuff. Here is what I looked like when I showed up: Typical me - scarf in hair, my new Kate Moss lipstick, Old Navy denim shirt (old collection), M&S black jeans and Primark moustache flats. 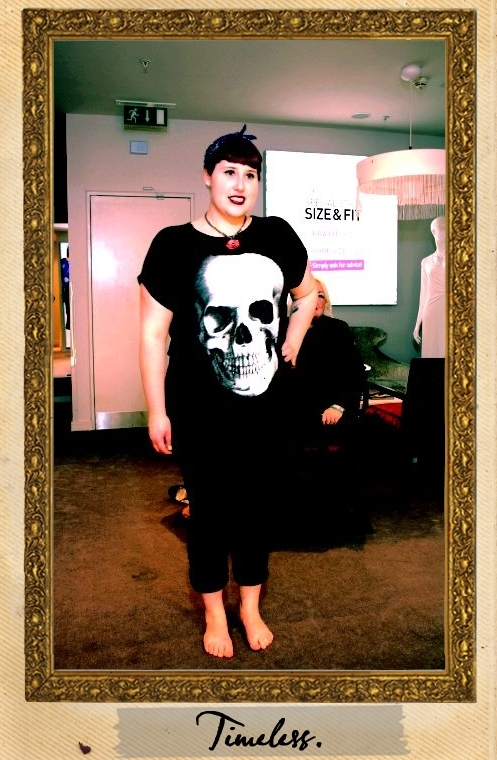 And here are a couple of the awesome outfits that Meghan picked out for me: Skull shirt and no shoes! I loved this AX Paris Curve tunic in black and in purple. The belt is not part of it, but it's just a bit of ribbon tied around the back. I am in love with AX Paris Curve, the fit is great and the dresses are super cute. Next up is an outfit that I ended up taking home - I love this studded shirt with the leggings - perfect for the days that I work at a local cafe making and serving coffee and I'll tuck it into a skirt for fancier days! The shopping experience really was great, and if you live near a Simply Be store, take the time and go visit the experts. I am saving up so I can order a couple more of the outfits I tried on and a pair of boots that actually fit my calves! Hooray! Thank you Simply Be for bringing me to Liverpool for the day, it was a great time and I hope to be back very soon! Have you guys been to a Simply Be store yet? What was your experience? Shopping and trying on clothes is always fun. Loving your look Katie and will we see you in February? I sure hope so! I should be there in February - it's just around my birthday so I will make the trip a present to myself :) I can't wait to see you again!